(null)Not only do spices add savor to food.. 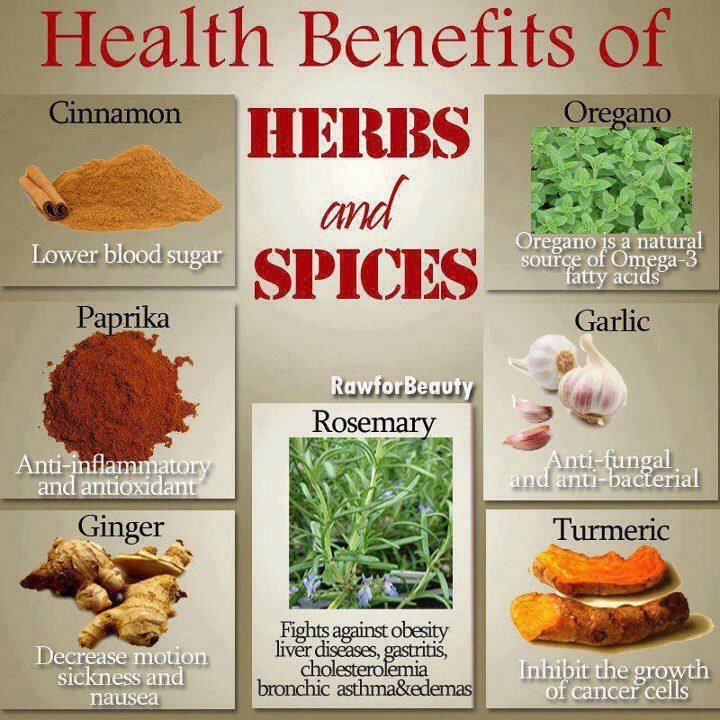 They Also add Health benefits..
Cinnamon -Helps keep arteries healthy and lower cholesterol . Oregano- fights off infection and it's loaded with antioxidants. Ginger- Soothes an upset stomach and fights arthritis pain. Garlic- Helps cut the risk of certain cancers. Thyme-has antiseptic and antibacterial properties.